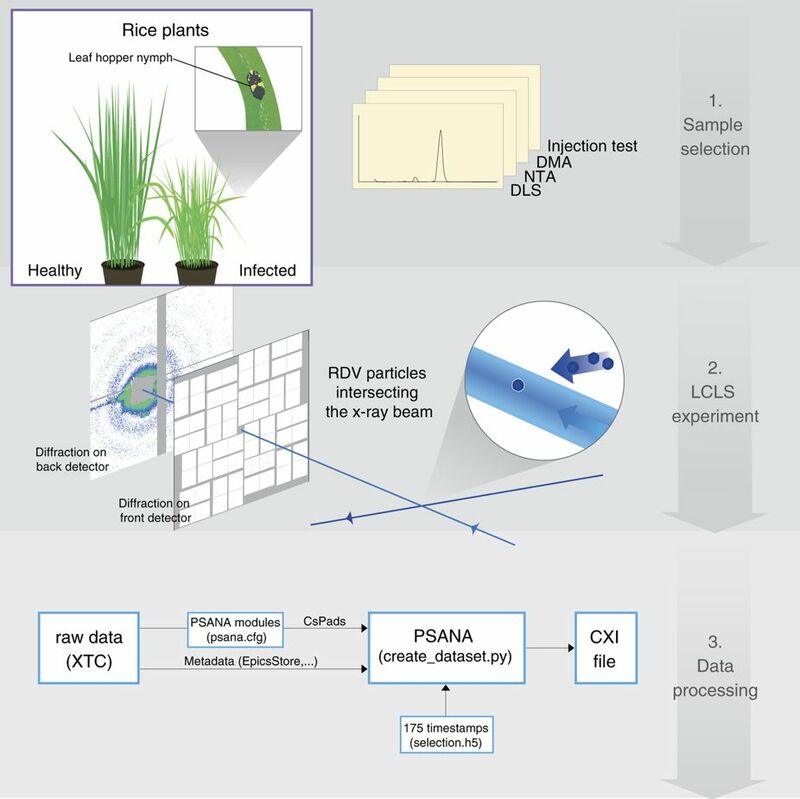 Single particle diffractive imaging data from Rice Dwarf Virus (RDV) were recorded using the Coherent X-ray Imaging (CXI) instrument at the Linac Coherent Light Source (LCLS). RDV was chosen as it is a well-characterized model system, useful for proof-of-principle experiments, system optimization and algorithm development. RDV, an icosahedral virus of about 70 nm in diameter, was aerosolized and injected into the approximately 0.1 μm diameter focused hard X-ray beam at the CXI instrument of LCLS. Diffraction patterns from RDV with signal to 5.9 Ångström were recorded. The diffraction data are available through the Coherent X-ray Imaging Data Bank (CXIDB) as a resource for algorithm development, the contents of which are described here.